The costs of water has increased almost 200% over the last 15 years. Water wastage causes an average of 50-100% increase in usage. Tenants that don't pay for water have very little motivation to save water. Increasing water usage, leaks, broken fixtures, tenant tampering and improper maintenance all contribute to water waste. Every single time a tenant flushes the toilet, washes their hands, washes the dishes, or takes a nice long shower, you are spending more money than you should. United States government regulations stipulate that water flow from showers must be limited to 2.5 gallons per minute. However, the average water flow in showers is 4 gallons per minute - 60% more than permitted by law. A single faucet, dripping once per second, wastes 27,000 gallons of water every year. How often do your tenants report drips? On Average, 65% of water uses is hot water, which makes up nearly 20% of your total energy spend. Every gallon wasted in your units costs you money, and depending on how you heat the water, it could cost you more to heat water than the water itself. Chances are, unless your building was built yesterday, you're wasting a lot of water. You can't cut corners to be a Scrooge! Landlords love The Water Scrooge system, with its masked installation, because it is completely tamper-proof. Our products are self-cleaning. pressure compensating, and maintenance free. Many of our clients tries installing low-flow fixtures before coming to us. They experienced no savings, and most of them saw an increase in water usage. 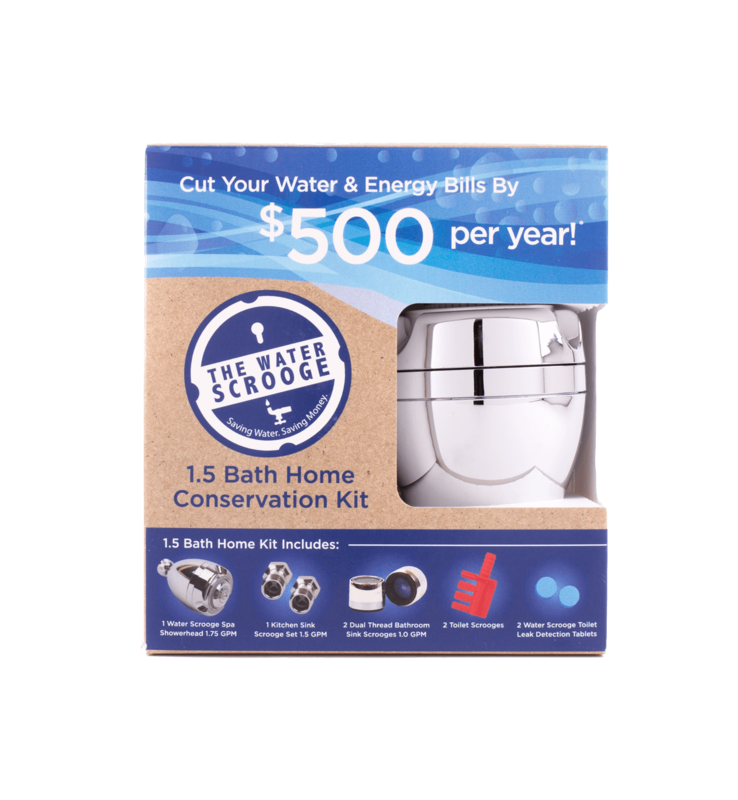 The Water Scrooge brilliantly balances your savings with tenant comfort. Our products provide an ample amount of water to all fixtures and most tenants wont even notice the difference. We also install a new Spa style shower head with every installation, free of charge, all leading to a great tenant experience. Our white glove installation team can complete your average building in a little more than a day, with an 85-90+% access rate to your units. We guarantee we'll get the job done quickly and efficiently, you guarantee you start saving money immediately. Want your team to handle it? Since our products install with no modification to your walls, pipes or fixtures, your maintenance crew can install it themselves. Using our Client installation program, you can plan and schedule your own installation, track it in real time, get installation confirmation for each and every unit, and much more. Our products do not require modification to walls, pipes, or fixtures. Your maintenance crew can install it themselves. Using our client installation program, you can plan and schedule your own installation, track it in real-time, and get confirmation for each and every unit install.